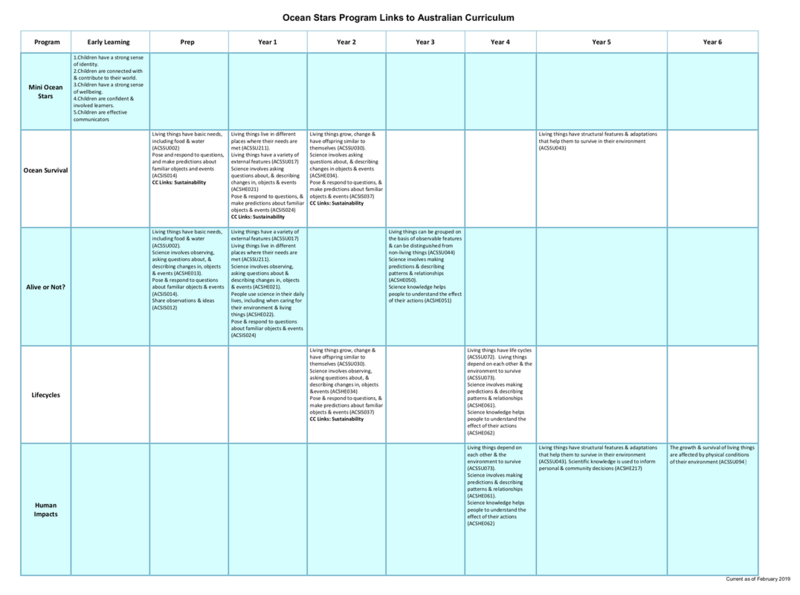 Curriculum Links - Ocean Stars Marine Education - Bringing the Ocean Into Your Classroom! The following table outlines the relevant curriculum links for each of our programs. Please feel free to download a copy to support your learning outcomes! If you have any questions or requests for program content, please feel free to contact us!